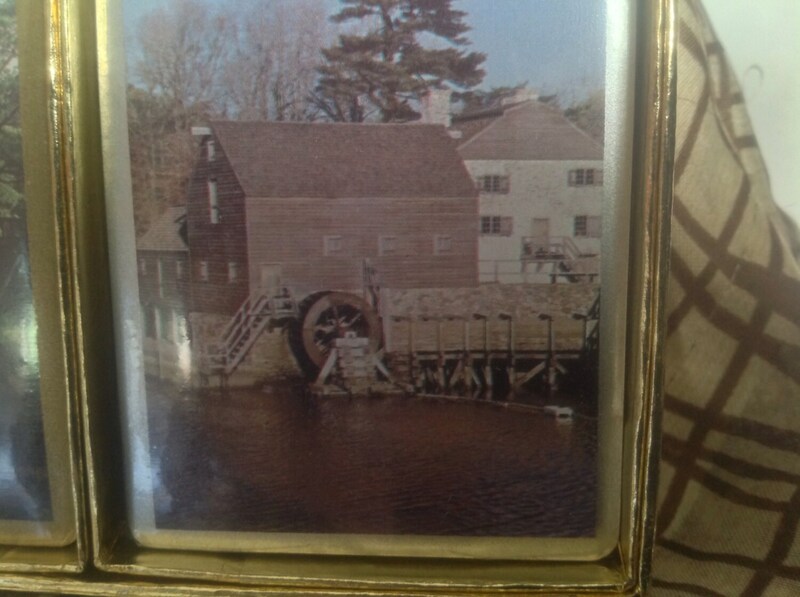 Never used - like new - still plastic wrapped! 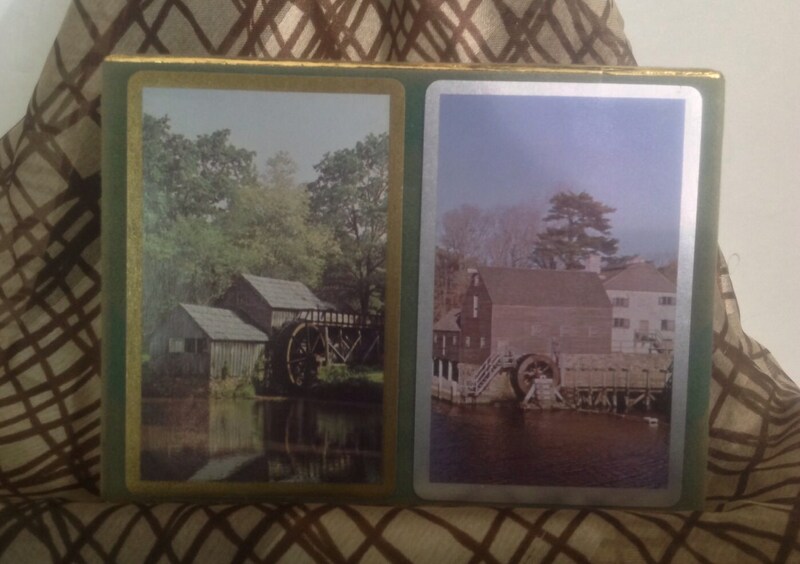 For hands on card playing, Offered is a set of 2 pair of playing card decks from the 1950's. 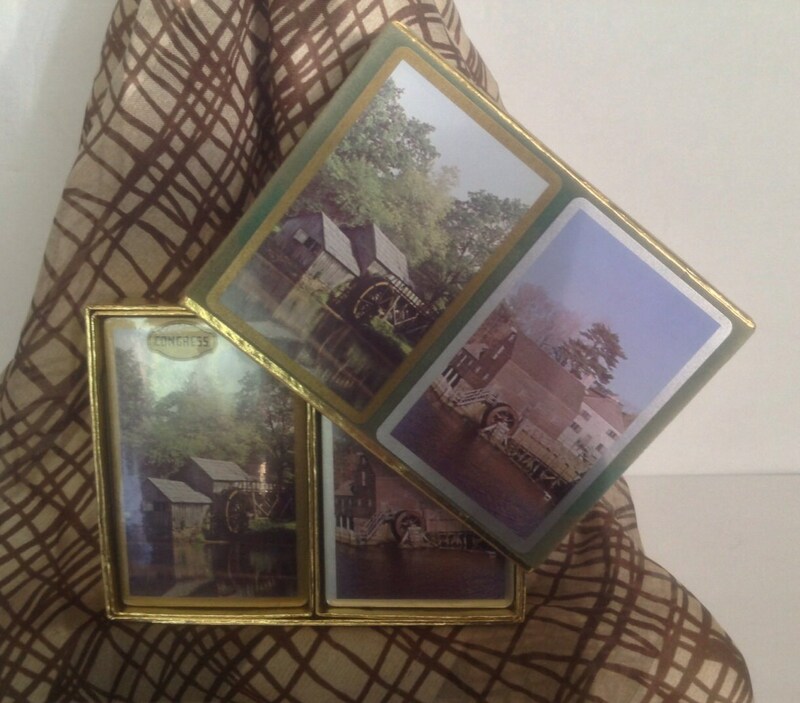 They are made to store in a handsome Green felted box with gold foil trim. 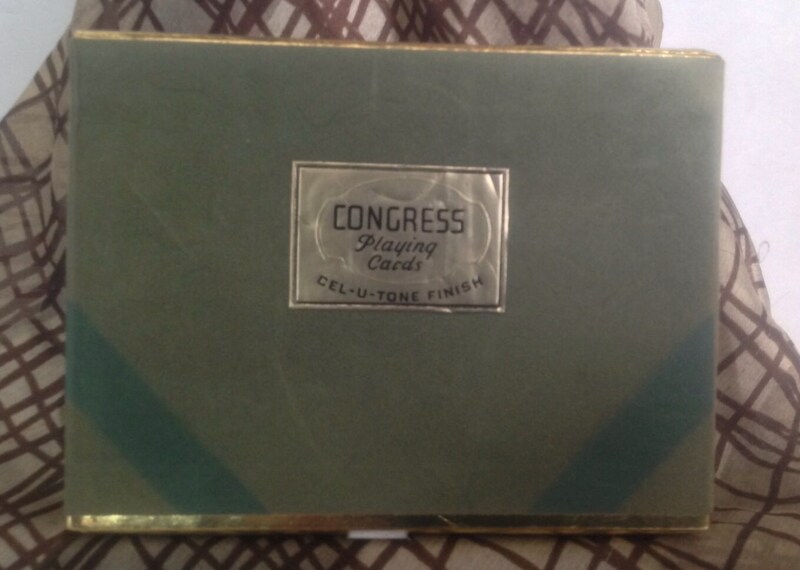 They were offered by Congress Playing Cards with a cel-u-tone finish. 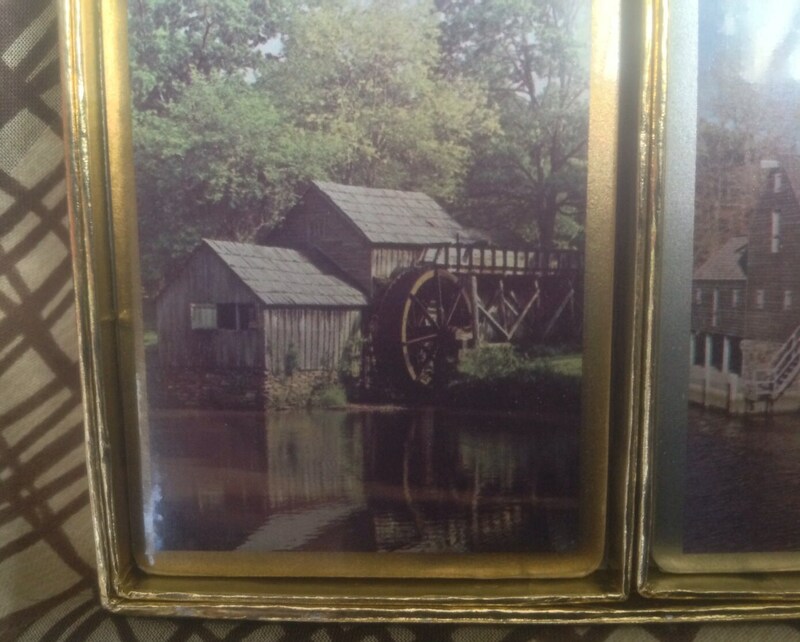 The decorative designs include photos of old grist mills. Area of fading where green box was once wrapped in ribbon.